(TibetanReview.net, Jun19, 2016) – Carrying a Chinese national flag and holding up a Beijing-issued portrait depicting the five top leaders of China thus far since Mao Zedong, a crowd of more than 100 Tibetan women marched before the offices of the Lhundub (Chinese: Linzhou) County of Lhasa City, Tibet Autonomous Region, on Jun 13, protesting against the forced confiscation of their farmland and the grossly inadequate compensation they were paid for it, reported the Tibetan Service of Radio Free Asia (Washington) Jun 17. The all-women demonstration from the county’s Gachoe Village was driven by the spectre of poverty the villagers faced as a result of the loss of their land, their ancestral source of livelihood, and the measly amount of compensation they received in gross violation of a promised higher rate. “The Chinese authorities had promised to compensate the farmers at the rate of 200,000 yuan [US $30,352] for each mu of land, but they have only been given about 20,000 yuan [US $3,035]per mu,” the report quoted a local source as saying, speaking on condition of anonymity. The farmers were now said to be demanding at least 180,000 [US $27,316] yuan per mu for their confiscated land. During the demonstration the women were reported to have shouted that Chinese development plans would drive them into poverty for generations to come. 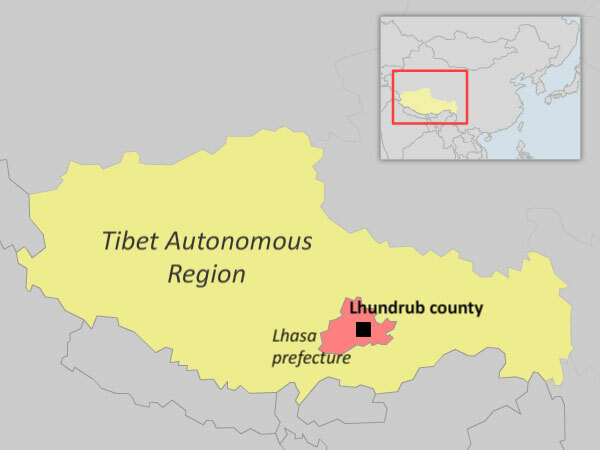 China has made five of Tibet Autonomous Region’s seven prefectures cities—four of them recently—in its urbanization drive which facilitates the settlement of more immigrants from China while marginalizing the local Tibetans. “New cities are being built in the area, and the farmers are being tricked in various ways into giving up their land,” the report quoted an exile Tibetan source as saying.